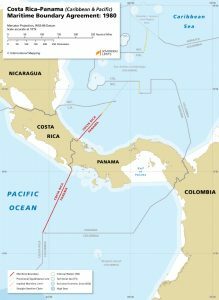 Costa Rica and Panama share maritime boundaries in the Pacific Ocean and the Caribbean Sea. These boundaries were established through a single bilateral Agreement that was reached in 1980. 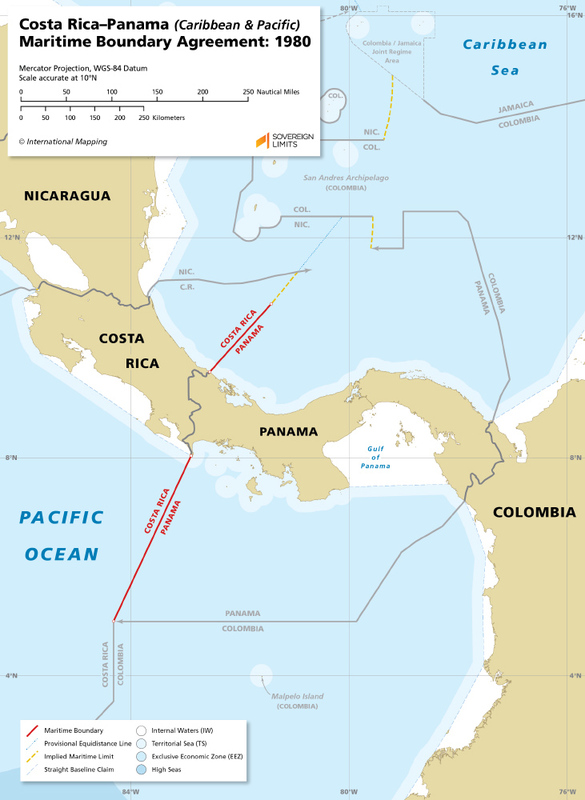 As part of the Agreement, Costa Rica recognized Panama’s historic claim to the Gulf of Panama.